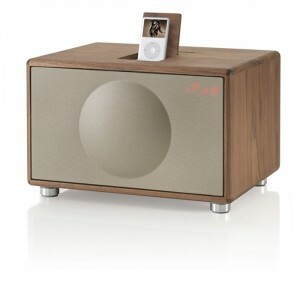 Model L is a powerful complete stereo system, crafted in a single, wood cabinet. With its built-in stereo tweeters, woofers and powered by a 100-watt high digital amplifier, the L Model delivers sound performance superior to many larger, pricier stereo systems. Its extremely wide frequency range, from a deep bass to crystal clear highs and its ample power, allow a newer musical experience.